The Dunlop Play Mini squash balls feature a diameter of 50mm (1.9”) and are designed for the children who are 7-10 years old. These orange balls are part of the second development stage of the Dunlop Mini Squash Programme (Play range) and come in a 1 dozen pack. 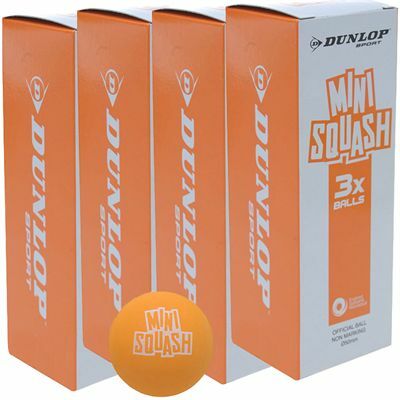 for submitting product review about Dunlop Play Mini Squash Balls - 1 Dozen.